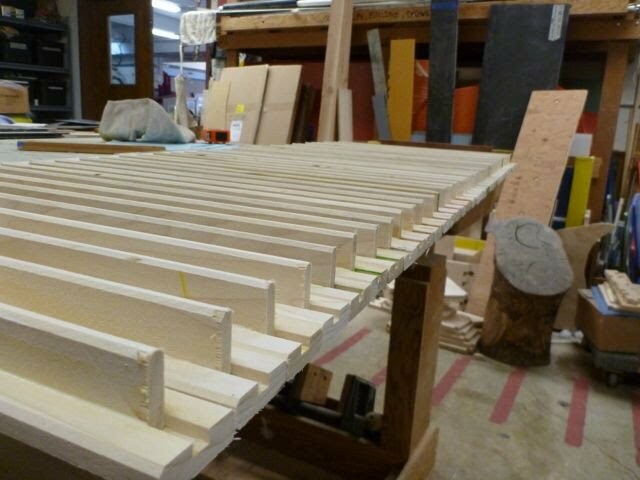 Here is the production of a working Top Bar Hive for the Palo Alto Junior Museum and Zoo. 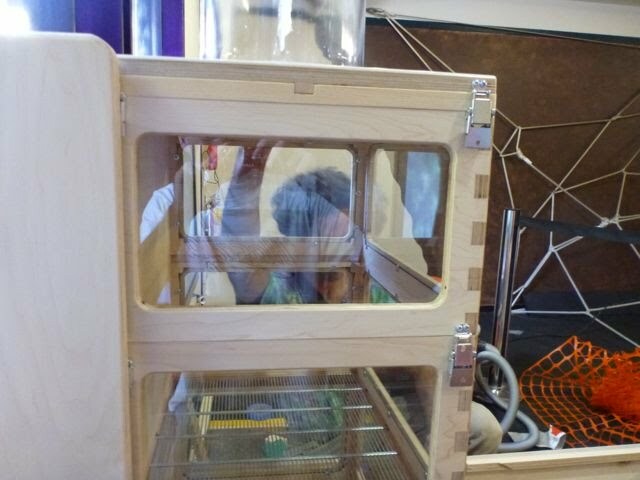 In these images you can see me as I build a bee hive that allows visitors to learn from viewing the activities of a working hive. Fine woodworking at its best. 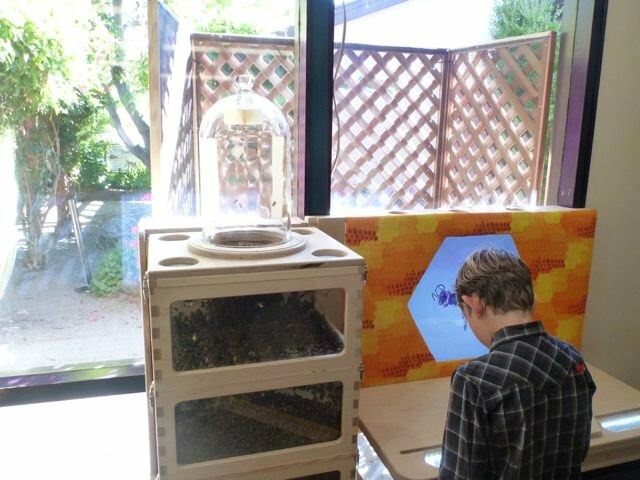 The production of a beehive that lives in a public space! It was highly functional and built with craftsmanship. Entire project built from scratch. I started off with plywood and poplar boards. I made everything you see made that is wood. No I do not blow glass. Here is a nice picture of the finger joints that join the supers together. Lots of dado cutting for the finger joints! 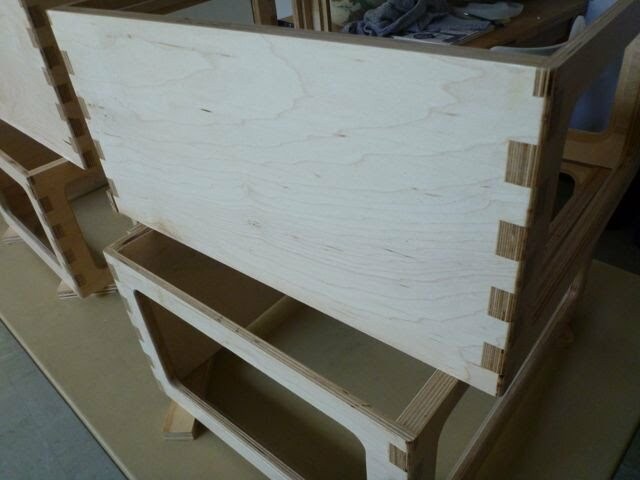 The top bars started as poplar planks that were cut into strips. 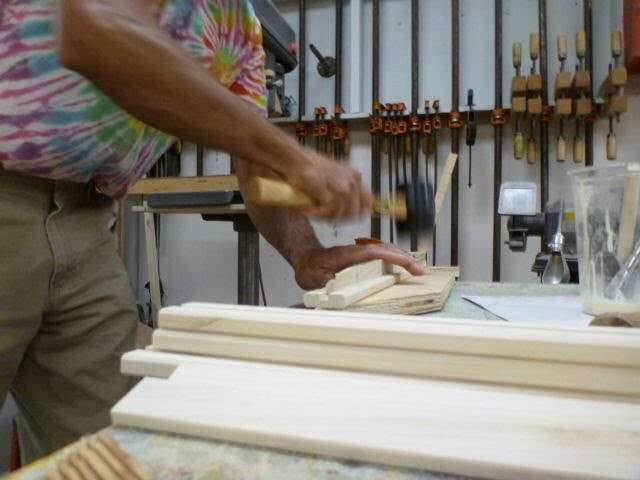 One set of set became the top and had a dado cut to accept the second strip. Here you can see me pounding the second strip into place. Here is a picture of the hive as I installed it into the museum. 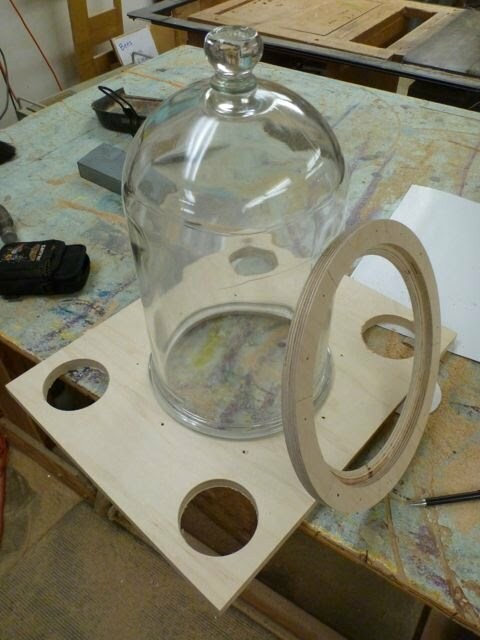 The bell jar had to be tightly held in place. The ring is cut to fit over the jar and hold it down tight- keeping the bees inside and visitors outside! This is only a small number of the top bars I made. Last but not least... BEES!! !